In the scene there are three high-quality models of hosts of different sizes with stones. One bush blooms. Models are made with a minimum number of polygons and do not overload the scene. 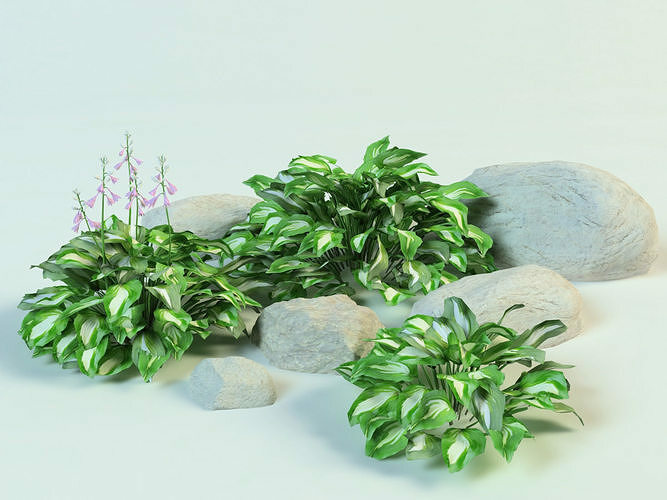 Suitable for decoration and landscape design. All textures are include.